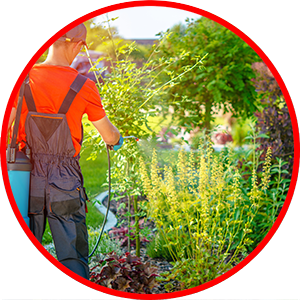 Here at Agriserve Pest Control, we offer quality weed control services for both residential and commercial properties in Duarte since 1993, with over 22 years of experience. Big or small - we service it all. Whether you have a smaller area in need of treatment or a number of acres in Duarte, we are well equipped to meet all of your weed control needs. For weed problems that aren’t too extreme, you should be able to find a weed killer that is a helpful product wherever you typically buy your landscaping supplies. The more popular synthetic chemical weed killers come in the form of sprays. It is important that you consult a store associate before choosing a weed kill product. Some products can be harmful to other plants, native animal life, or pets so you will want to be careful not to introduce these products into your yard. You might consider hiring a professional weed control service if you’re dealing with a substantial weed problem in your yard. A reputable weed control company in Duarte has access to a number of broad leaf weed control treatments and other products that you will not find at your local hardware store. Upon hiring a professional, you might want to discuss creating a fertilization schedule for your lawn as well. A flourishing lawn is better able to defend itself from intrusive plants. Dandelions and other unwanted weeds simply are not able to complete with grass that has thicker, healthier roots. 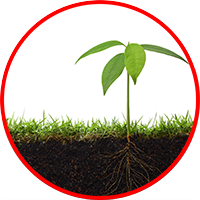 Soil sterilization is an intriguing method of cleansing soil of unwanted weeds, fungus and insects. The process includes heating the soil to a very high temperature, essentially killing off any seeds, insect eggs, and other unwanted elements. This method is applied in large-scale farming by utilizing UV rays, or in some cases, a slash and burn technique. However, you can practice soil sterilization at home on a much smaller level. Potting soil can be heated in an oven or microwave prior to being used for planting. This will ensure that any pests present in the soil, including weed seeds, will be neutralized giving your plants the best possible chance to thrive. Last but not least, you can help prevent unwanted weeds from sprouting up by incorporating ground cover in strategic areas of your garden. Before you begin planting in a new area, consider incorporating a layer of landscaping fabric underneath your topsoil. Cut a hole in the fabric for each plant that allows them ample room to grow. Garden fabric will prevent weed seeds hiding in your soil from germinating. Other options for ground cover include mulch and wood chips. When laid generously around plants and shrubs, they help prevent weeds from growing with the added benefit of adding some interest to your garden’s aesthetic. In addition to bugging you, bugs pose serious risks to your quality of life and property – all through the year. Cockroaches, mosquitos and rodents carry various diseases, therefore it’s important to keep them in their spot. No matter what period it's, they are going to sneak into your house trying to find food, water and a comfortable habitat. Keeping them at home is not a one-time event – it is a process that is year-round. Our pest control technicians work to deliver solutions – rooted in science ‐ that protect every house. Happy we know Our Pests for you. With award-winning training and advanced technology, your technician will look for conditions that invite pests, tackle current infestations, and prevent the life cycle to prevent future invaders. With over 160 hours of training simply in the year that is first your technician will know the category and behavior of most home pests so they can target his solution from the most common pests such as termites, bed bugs, cockroaches, mosquitos, rodents, and more. When you have a pest issue or want to protect your home or business from future invaders, we apply our science-based approach to help determine the root of your condition and implement a solution made expressly for your home. During each visit, you can count on a technician that is highly-trained investigate, protect, fortify, keep watch, report, and follow up to steadfastly keep up our points of solution standard. Our service uses a variety of the most advanced technology and methods today that is available. This means your custom made plan will help get insects from the home and help keep them out year ‘round. We Investigate We’ll inspect your home from top to bottom, inside and out, for present or possible pest problems We Protect We’ll treat the perimeter of your structure with the appropriate materials, eliminate all accessible spiderwebs and wasp nests, and use the safest practices available We Fortify We’ll do everything we can to help keep insects out –seal, caulk, plug, and secure gaps and cracks We Keep Watch We’ll treat the interior of your home and install pest monitors in critical areas such as kitchen areas, baths, energy spaces, and garages We Report We’ll always offer a detailed report of services rendered and recommendations to help keep your home free of insects We Follow Up We’ll stay in touch between our regularly scheduled visits and respond to any immediate needs Pests are active year-around. That means you need protection year-around. Our custom remedies adjust because of the season to address seasonal activity that is pest your area, giving you security all through the year. We'll come back to re-treat outside your house every season for a total of four treatments, such as the service that is initial. It is all a part of our service. Springtime is breeding period for many pest kinds. We'll make sure you don't possess an infestation in development. Summer heat means activity that is pest high. We'll get home's perimeter secure. As conditions drop, insects seek someplace warm. We are going to make certain your property's barrier is prepared. Bugs are going to be looking for many of the warmth and dampness they can find. We are going to make sure your home is protected. Our residential pest control process is simple. Friendly, trained and licensed service specialists perform an intensive inspection of your house and yard to unearth potential issues. We know where termites, bed bugs, spiders, rodents along with other bugs like to live and lurk - so we'll pinpoint these places. Then we'll offer a program that is fully customized treat and eliminate entry points and nests. Pests are persistent. So our company is, too. Agriserve Pest Control works across the calendar to steadfastly keep up a environment that is pest-free. Including a inspection that is thorough of home and yard to make sure that any newly emerging insects do not re-infest the area. Then we are going to administer an treatment that is exterior other month to protect your property. Additionally, our service technicians will remove available spider webs once they visit your property. Are you aware that we additionally provide top-notch turf and ornamental services? Our domestic lawn care program will supply you with the healthy, happy yard you have yearned for, every year, via custom-blended fertilizers, smart weed control, expert tree and shrub care, and specialized maintenance. Any of these residential services can easily be along with our pest control programs for added savings. Companies aren't resistant to many of this presssing issues that bug homeowners. Your property is home to your company, so cannot let pests that are uninvited it their home, too. Your center's uniqueness demands a custom-designed pest management and grounds worry program. So we understand the nuanced needs that various industries and spaces represent. We'll work hard to implement the best pest control or grounds care strategies for your particular property. Whether you'll need to oust birds, bed bugs, rodents, termites or other pests – or even to produce a welcoming space that is outdoor makes an impression on customers and employees alike – we're your group. We're licensed and certified, employ sustainable practices, use cutting - edge technology and count on a humane approach.